Includes 1 x 12″ grapevine wreath, 4 x 6″ grapevine wreaths, and 3 yards of matching wire cord. Pictured greens, ribbon and embellishments not included. 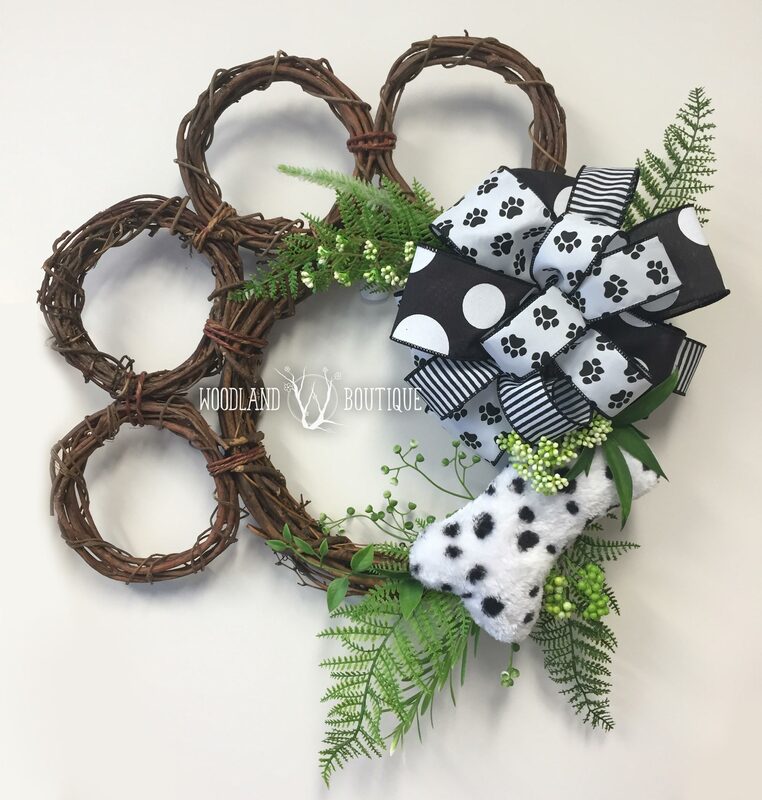 Everything you’ll need to make a paw-shaped wreath base! Includes 1 x 12″ grapevine wreath, 4 x 6″ grapevine wreaths, and 3 yards of matching wire cord. Finished base will measure approximately 18″ wide — just add your own ribbon, greens and embellishments.